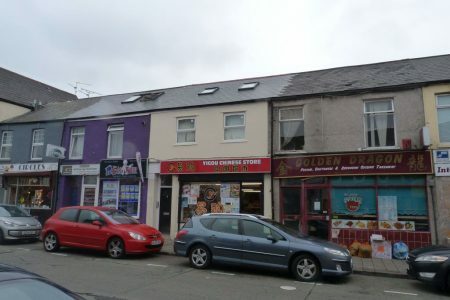 The property is situated on Clifton Street, a very popular location for Cardiff`s small businesses. Just a short walk into Cardiff`s city centre where most of the main retail streets are located. The available space within the property is on the ground floor and consists of two self contained office units with a communal lobby accessed off Clifton Street. Both units have a small kitchen area and WC. The offices units are available separately or together. The available offices have the following facilities; Electric heating and hot water as well as the kitchen and toilet facilities mentioned. Rent is per office and is inclusive of electricity and water rates. Total – 558 sq ft/ 51.84 sq m.
Flexible lease for a term to be agreed. All figures are exclusive of V.A.T, where applicable. The property has an EPC rating of 70 (C rating). Each party to cover their own legal and professional costs. Keylet are proud to present this lovely 2 bedroom apartment on the first floor of this perfectly situated partment building. Just a stone throw away from Cardiff city centre and the university this location is ideal for both proffesionals and students. This apartment boasts two large bedrooms with a seperate kitchen and living area. Please arrange viewings through Keylet. Fees apply. Very spacious one bedroom flat with large bay windows in the open plan kitchen/lounge. The kitchen comprises of beech effect units with integrated appliances including a washer/dryer. The bedroom has a double bed and fitted wardrobes. The bathroom is fully tiled and has a bath and shower. This property is managed by the landlord. Fees apply. Spacious and well-presented one bedroom flat on Northcote Street in Roath, Cardiff. Ideal location for professionals looking to be close to the city centre and students who want to be close to Cardiff University and the heart of Cathays. The flat comprises of an open-plan kitchen/lounge with fully fitted kitchen and modern fixtures and fittings, fully tiled bathroom and bedroom. This property is managed by the landlord. Fees Apply. The property is situated on Windsor Place, a very popular location for Cardiff`s personal offices. Just a short walk to Queen street and Cardiff`s main retail streets. It has very good transport access with Cardiff Central train station and Queen Street station just a short walk. This let come with one allocated parking space at the rear of the building. The available offices have the following facilities; gas central heating, BT & Virgin conncectivity; comfort cooling, secure entry, as well as the kitchen and toilet facilities mentioned. Total – 1,628sq ft/ 151.2sq m.
The property has an EPC rating of 87 (D rating). This first floor apartment is in a great location just a stones throw away from the shops on city road. The property boasts a seperate kitchen, spacious lounge, 2 double bedrooms, laminate flooring, spotlighting, and a fully tiled bathroom. This property is managed by keylet. Fees Apply. 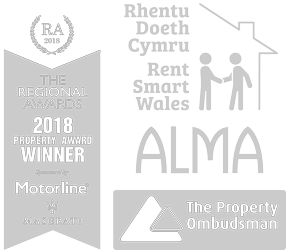 *NEWLY REFURBISHED* One Bedroom property Situated on Glynrhondda st, This property is of an EXCEPTIONAL standard and comprises of an OPEN-PLAN kitchen/living room, fully tiled LUXURY bathroom and a large DOUBLE bedroom.This property is managed by the landlord. FEES APPLY. Situated off City Road. Close to shops and the popular Wetherspoons Pub. This property is well maintained and has recently been refurbished. All double bedrooms, new carpets, leather sofa`s. This property is managed by the Landlord. STUDENTS ONLY – 6 bedroom flat in purpose-built complex on Gwennyth Street in the Cathays area of Cardiff. The flat has 6 double bedrooms – all of which have an en-suite shower room, double bed, desk and fitted wardrobe. The communal area is an open-plan kitchen/lounge with fully integrated kitchen, laminate and tiled flooring, leather sofas and washer/dryer. Gas, electric and water bills are included in the monthly rental amount. Managed by Keylet. Fees apply. Please book your viewing today for this spacious home. This is a spacious 2 bedroom flat with double beds , laminate flooring, and modern furniture throughout! This 2 bedroom flat is set over 2 levels and ideal for anyone who wants that extra space. This location is in central Cathays and perfect for students wanting to be close to the university and also the city centre. This property is managed by Keylet. Fees Apply.